The Magnum is the perfect robotic pool cleaner for medium sized commercial or public swimming pools. 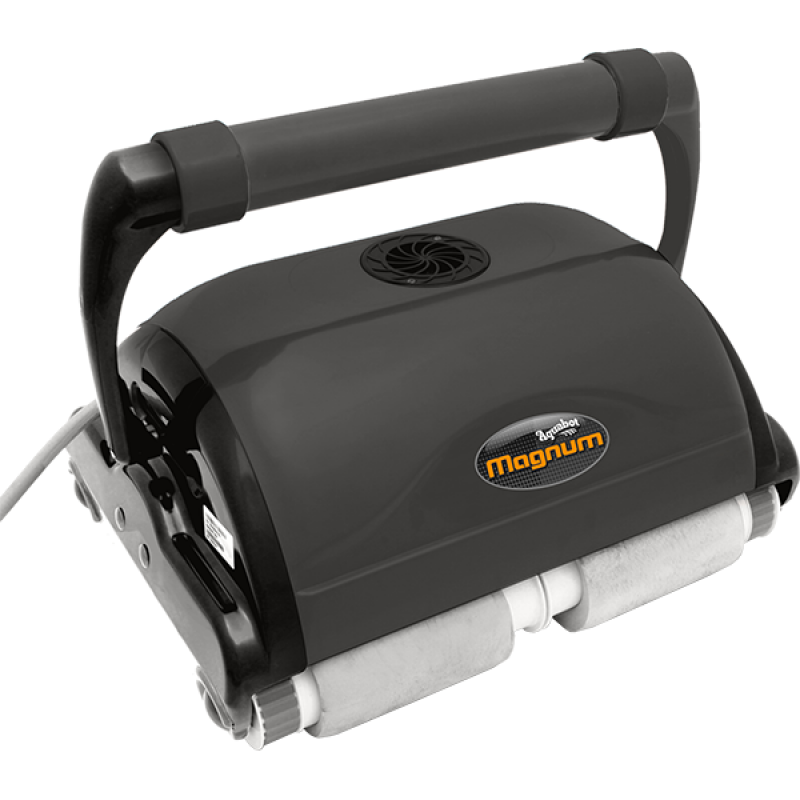 The Magnum is the perfect robotic pool cleaner for medium sized commercial or public swimming pools. It's designed to be used in swimming facilities at schools, universities, hospitals and the hotel/motel industry. This unit is fully automatic and completley self-contained. The Magnum requires no special hook-up or hoses. The Magnum is engineered to clean every square centimeter of your pool. The Magnum is engineered to clean every square centimeter of your pool. The Magnum automatically changes direction in different angles with the patented Aqua Smart System. With the Qua Smart system installed, the Magnum cleans your entire pool bottom in 4 hours or less. In addition to the 4 hour cleaning cycle, the operator can use the remote control feature of the Magnum for quick spot cleaning. With the touch of a button, this machine can be steered 360 degees in any direction. Dimensions: 23.6" X 15" 10.5"
Shipping Dimensions: 29" X 20.5" X 18"